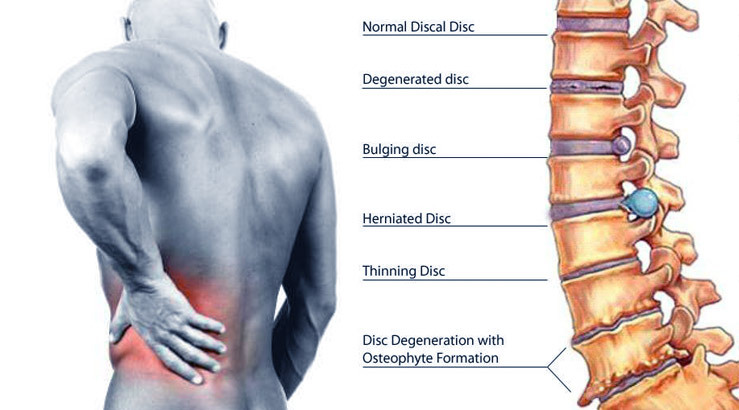 There are different types of back pain. Back pain can be acute (sudden) or chronic. It can feel like a sudden, sharp pain or a dull, constant ache. Acute back pain lasts from a few days to a few weeks. It’s often caused by an accident, a fall, or moving something that’s too heavy. Acute back pain usually gets better on its own, without any treatment. Find out when to call a doctor or nurse about back pain. Chronic back pain that lasts for more than 3 months. It’s much less common than acute back pain. Most chronic back pain can be treated without surgery. Find out about ways to treat chronic back pain. Most people have back pain at some point in their lives. It’s one of the most common reasons people visit the doctor or nurse. You are more likely to experience back pain as you get older. Many people hurt their backs when they lift, push, or pull something that's too heavy – especially at work. Take care of your back to avoid back pain. Preventing back pain is easier than treating it. Physical activity can make your back stronger and lower your risk of back pain. Do back-strengthening and stretching exercises [PDF - 244 KB] at least 2 or 3 times a week. Try a yoga class. It can help stretch and strengthen muscles and improve your posture. Stay active. Regular physical activity can help keep your back muscles strong. Aim for 2 hours and 30 minutes of moderate aerobic activity a week. If you have an injury, a health condition, or a disability, ask your doctor or nurse which types of exercise are best for you. Good posture can help prevent back pain. Try not to slouch when standing and sitting. Sit up straight with your back against the back of your chair and your feet flat on the floor. Keep your knees slightly higher than your hips. Stand tall with your head up and shoulders back. If you can, switch between standing and sitting so you aren't in the same position for too long. Find out how to have good posture while sitting at a computer. Lift things with your legs, not your back. Keep your back straight and bend at the knees or at the hips. Get help if the load is too heavy for you to lift alone. Get more tips on safe lifting. Prevent back injuries at work. Back injuries are the most common type of workplace injury. Staying safe at work can help you prevent injuries. Staying at a healthy weight lowers your risk of back pain. If you are overweight, losing weight in a healthy way can reduce the strain on your back. Get enough calcium and vitamin D.
Getting enough calcium and vitamin D can help keep your bones strong and prevent osteoporosis (“os-tee-oh-puh-ROH-sis”). Osteoporosis makes your bones weaker and more likely to fracture (break). Spine fractures from osteoporosis are a leading cause of back pain. Adjust your chair at work to help support your back.